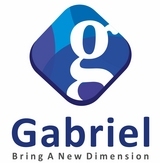 Gabriel Management Consultancy provide professional, cost effective and creative consultancy services to broad range of companies with warehouse design, distribution module, supply chain execution and material handling solutions, EHS Management, Software solutions & implementation, IT networking designing. Our objective includes developing the very best logistics network, warehouse layout, material handling solutions and information systems (ERP Implementation) for supply chain & EHS. We are always ensuring that our recommendation offer cost effective, practical in nature and low risk solution for our clients Supply Chain, EHS & IT needs. GMC has developed an integrated approach to their management consultancy process strategies right from the start of the process until closing. Even after the end of our engagement we audit the results to ensure that the efforts are sustainable and have brought the desired change. We deliver results and get to the bottom of the client’s needs, ensuring that each one of them is resolved during the implementation.